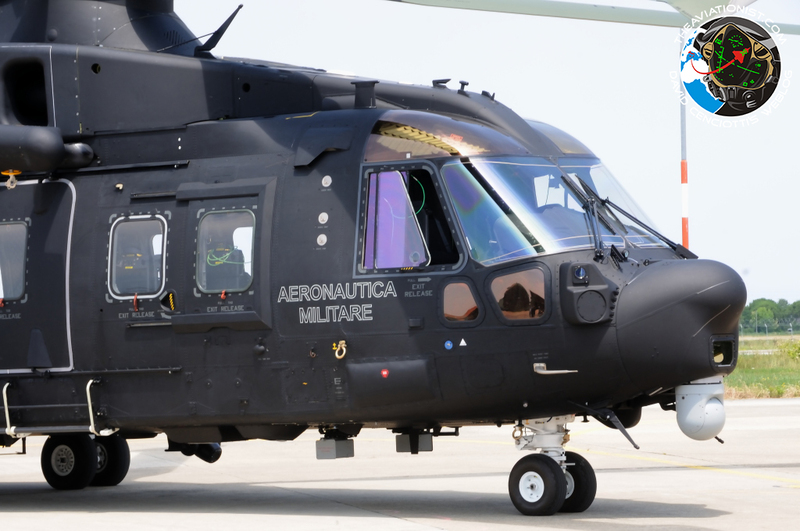 The Italian Air Force is about to take the first AgustaWestland HH-101A Caesar on charge. On Jun. 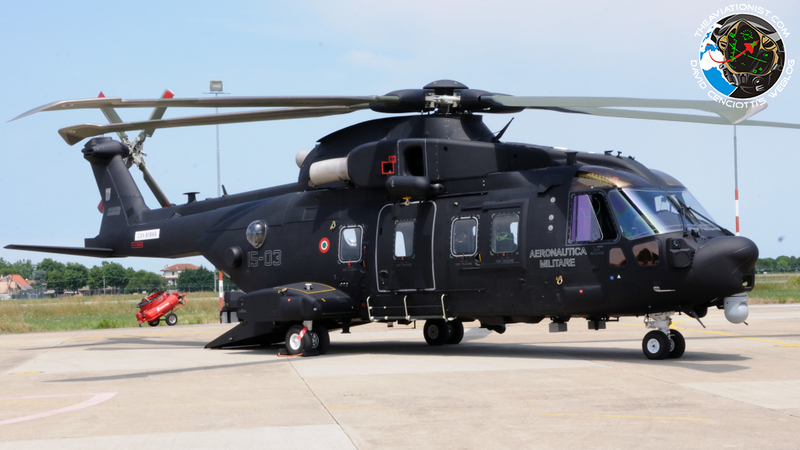 19, the Italian Air Force presented its first AgustaWestland HH-101A Caesar helicopter (a military variant of the AW.101) to the press at Cervia airbase, home of 1st Brigata Aerea Operazioni Speciali (Special Operation Air Brigade). Pierpaolo Maglio was there to report about the event for The Aviationist and take the interesting photographs you can find in this post. As Maglio reports, the first Caesar, coded 15-03 (still carrying the experimental serial number CSX 81866, that will become M.M. 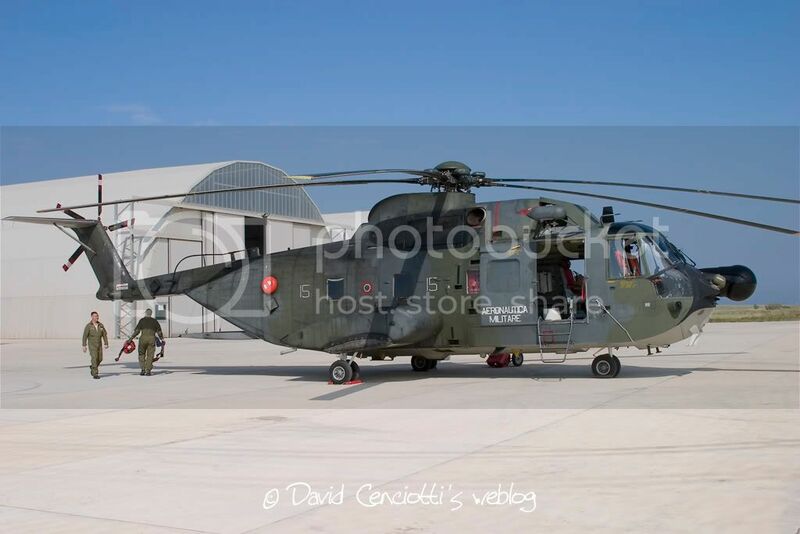 81866 as soon as the airframe is formally assigned to the Italian Air force) flew from the UK to Cervia with a mixed crew of 2 AgustaWestland pilots and 4 Italian Air Force crew members whose training is going to be over in the next few weeks. The roomy cargo bay was almost void with just 5 seats installed for the journey. 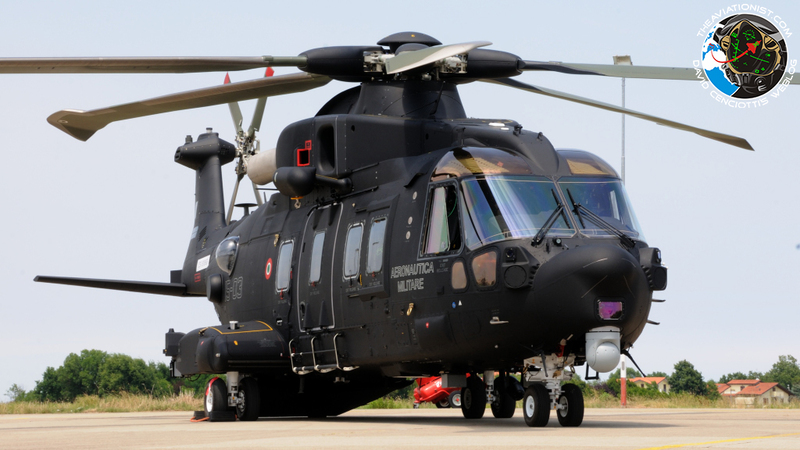 The Italian Air Force has ordered 12 HH-101As with an option for 3 more examples. The aircraft will be assigned to 21° Gruppo (Squadron), currently flying the AB.212 at Grazzanise airbase. The “Tiger” squadron of the Italian Air Force will be assigned to 15° Stormo and based at Cervia, where new facilities to host the unit are being built. Later on, a detachment will also be established at Trapani airbase in Sicily. 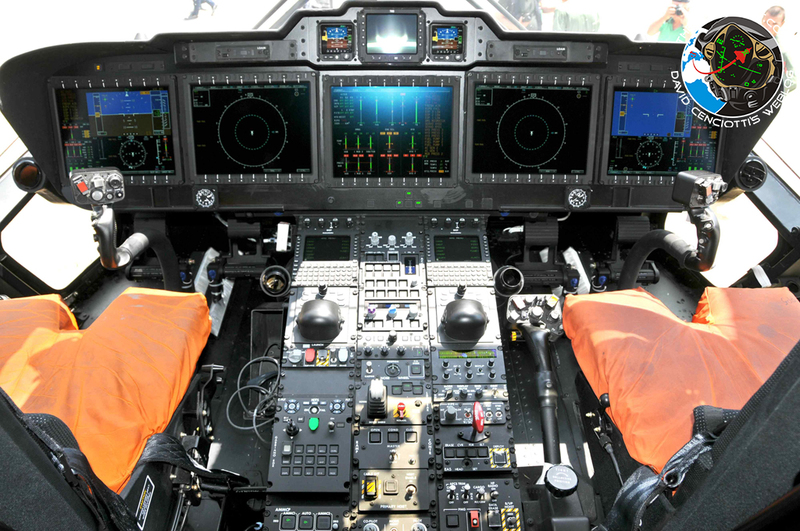 According to Maglio, the Commander of 15th Stormo, Col. Massimetti, said that CaeSAR is simply the perfect machine to fill the gap left in the heavy SAR role by the retirement of the old HH-3F on September 2014. Though a good and fast machine, the immediate replacement for the Pelican, the HH-139A, is in a much smaller category: in disaster relief operation the HH-101A offers a significant payload and could save as much as 25 people (or more) in each sortie. Along with traditional SAR (Search And Rescue) duties, the HH-101A will also conduct Combat SAR, Personnel Recovery, Slow Mover Interceptor and Special Operation Air Support. For these tasks, it will be equipped with up to 3 guns (two from the sides and one six-barrel mini-gun in the rear ramp swinging down from the ceiling in order not to block the ramp while not in use), advanced self defensive systems and air refueling probe. Col. Massimetti also praised the new machine for its maneuverability and perfect performance in brown-out and white-out conditions. Noteworthy, the tips of the blades of the main rotor of the new helicopter take advange of BERP design and have downward pointing winglets that help in keeping a clear area under the HH-101A upon landing in dust or snow conditions. 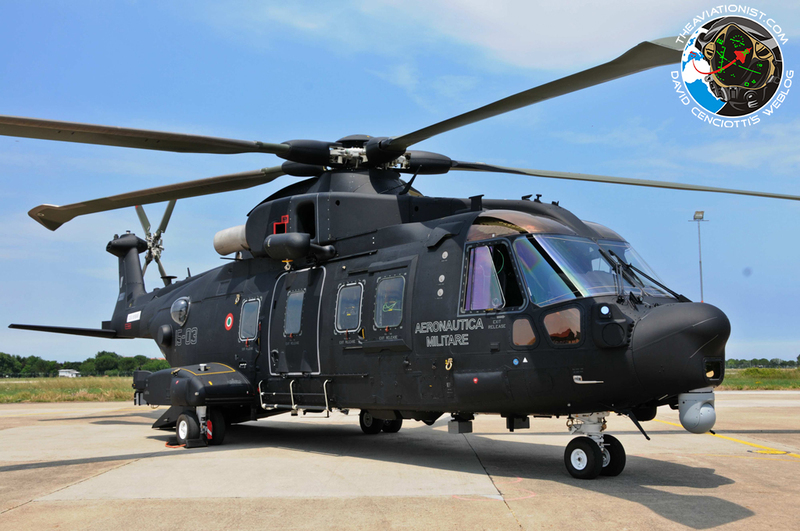 Pierpaolo Maglio talked to the aircrew of the very first HH-101A who said the CaeSAR is also very silent, much more than smaller helicopters, something that will help a lot in Special Ops missions along with its cool night paint.